Applies natural-looking motion blur by automatically tracking every pixel. 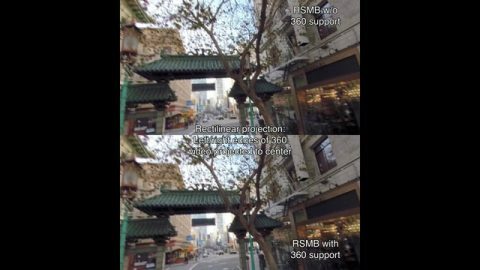 RSMB uses optical flow tracking on 360 footage taking into account the connectedness of the left and right sides of the 360 video, as well as the top and bottom. 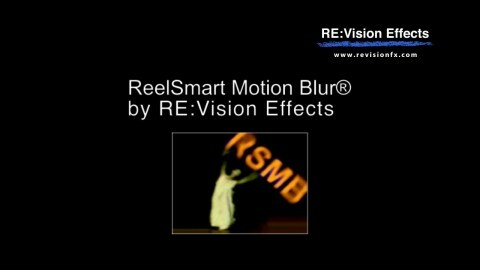 ReelSmart Motion Blur in Action! See what ReelSmart Motion Blur® can do for you! Work by Comen VFX. RSMB was used to give a more filmic look to footage shot on video, providing shutter speed correction. 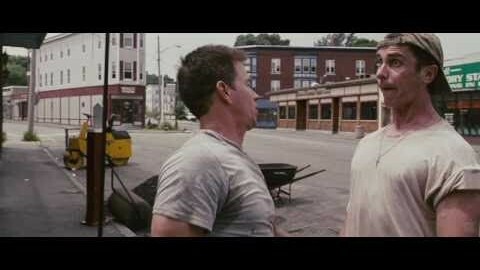 The footage looked choppy when played back at film rates. So the client settled on RSMB to simulate that normal shutter speed you would have with film footage. Read More. Computer Arts Magazine gives ReelSmart Motion Blur a 5-star review and calls it "a brilliant plug-in which should be in every user's toolbox." CreativeMac.com says ReelSmart Motion Blur "lives up to and surpasses expectations, so we're giving it a Best Buy recommendation." Fast and easy motion blur! Applies motion blur based on automatic tracking of every pixel. Ability to blur with motion vectors supplied by your 3D system. Blur can also be removed! RSMB tracks 360 footage and blurs properly taking into account the connectedness of the edges of the sides as well as top top and bottom. Ability to blur with motion vectors supplied by you... which, most likely, will come from your 3D animation system. An option that uses the alpha channel to help tracking of dark images with mattes. This is especially useful for CG, masked and/or keyed material. This product is GPU accelerated. Read more. Instructional videos, and example videos, that help you learn how to get the most of each plug-in's robust features. A full version of the plug-in. Images will be watermarked if you have not purchased a license and registration key. Installed plug-in will work with Flame, Smoke all versions (all versions). The same OS and hardware requirements for the version of Flame, Smoke that you are using. Installed plug-in will work with Flame, Smoke (all versions). Installed plug-in will work with Flame, Smoke all versions. Our Effections bundles package the power of multiple plug-ins together for a great price. A great option if you think you’ll buy more than one of our products. License works with After Effects, Final Cut Pro, Flame, Smoke, Fusion Studio, HitFilm, Media Composer, Motion, Natron, Nucoda, Nuke, Premiere Pro, Scratch, and Silhouette. Pro license also works with regular product of any supported host. We offer several types of licensing options for both our interactive and render-only plug-ins: floating license, non-floating license, and volume license (read the licensing overview for more information). If you are interested in volume licensing or have other questions about these license options, please contact us. All floating licenses require installing our floating license server. Features, pricing and availability are subject to change without notice. Render-only licensing is for use with command-line "headless" execution. Note that the ReelSmart Motion Blur render-only licenses only work on projects written with an interactive license (so you must have at least one standard, floating or Non-Floating interactive license for the render-only licenses to be valid).